When you choose our family-run business, you can be sure that you will receive a sensitive, personal service. We have more than 30 years of experience and have the largest showroom in Hereford for you to browse. We are always on hand to offer advice and help you find what you’re looking for. 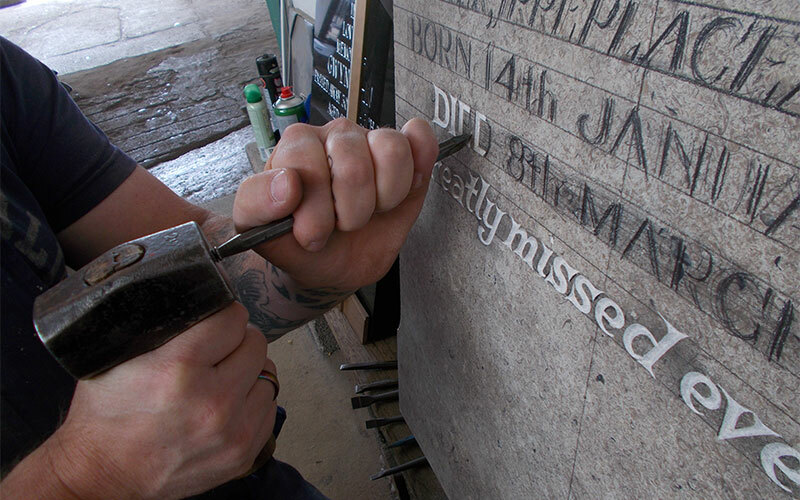 Our skilled and experienced craftsmen take great care in carving each memorial to your exact requirements, making sure that the finished piece is how you imagined it. These can be made from the stone of your choice, using original or traditional designs. Memories are precious and you want to keep them alive not only for now but for generations to come. At NC Pegler Ltd. Monumental Sculptors we can help you do just that by creating an individual memorial, headstone or monument for your loved one that is truly personal. We understand that everyone is different which is why we will talk through the memorial process with you, fully discussing your requirements, to ensure you have a memorial you are 100% happy with. You are welcome to visit our showroom in Hereford, open Mondays to Fridays from: 8am-5pm and Saturdays from 9.00am-12:00 noon. completion time frames or for friendly, no-obligation advice.